Deadline? What do I do? What do I write or say? A short, simple message saying you would like to take part in an Open Floor Session on either 1oth (evening) or 11th (daytime) and mention the topics you would like to speak on. What are the topics, what should I talk about? PINS have a list of topics at Annex B in this document. But don’t fret, just put down 1,2,3 or more things you think you can cover in a short spoken comment to them. We want plenty of you to talk about your lived experience of flights at night, during the day, the impact on your lives, your health, your kids, your work. All the usual things that you were so brilliant at highlighting when you registered as an interested party. But I didn’t register as an interested party? We are about to enter the Examination Phase of the DCO. RSP have applied to the National Planning Inspectorate for a Development Consent Order (DCO) to compulsory repurchase the Manston site and develop it as a 24/7 cargo hub airport. In October, residents registered as ‘interested parties’ during the pre-examination phase. Now, from January 10th, we will be in the examination phase where the Examining Authority will question the applicant’s (Riveroak Strategic Partners) case and will hear from residents and others about issues connected with the application. Even if you have already registered, you need to let PINS know if you would like to speak at one of the scheduled meetings in early January. We obviously want as many of you as possible to register. You aren’t going to need to make a grand speech. As little as a minute is fine. You can have 10-20 minutes if you want. On January 9th there is a preliminary hearing meeting. Basically, this is still part of the pre-examination stage. It is to give any of us the chance to comment on the process, the procedure. It ISN’T an opportunity to comment on the merits or demerits of the application itself. You should only register to go to speak at this meeting if you think PINS haven’t covered all the issues ( see Annex B in this document) that need to be examined in this process. On January 10th during the day, there is an Issue Specific Hearing meeting which will see the examining panel questioning RSP’s application. You can attend but this isn’t a meetng for the public to comment at. On January 10th in the evening, there is an Open Floor Meeting, where the Examining Authority will hear from members of the public. On January 11th during the day, there is an Open Floor Meeting, where the Examining Authority will hear from members of the public. There will be plenty of opportunities for you to submit a written submission where you can go into detail. This is a written evidence-driven process. But the Examining Authority wants to hear from people in the flesh. Make sure you are there. Over a thousand of you opposed to RiverOak Strategic Partners’ plans for Manston registered with the national planning inspectorate (PINS) despite the tiny timeframe we were given to do this. WELL DONE! It’s clear then that a majority are against these plans. It’s clear that the majority of those opposed to the plans are those most directly affected by them if they happened unlike many of the responses from those in support. Time and again, ordinary residents demanded to be able to question an application that is fundamentally flawed, inaccurate, confused and confusing and which fails to meet the criteria for a nationally significant infrastructure project. In response after response, people questioned RSP’s business case (or lack of), funding (lack of), evidence (lack of) and their credibility. More seriously, there are plaintive cries from the pro-airport lobby for jobs and we definitely understand this. Which makes it all the more cruel and frustrating that people have been sold fantasy figures on jobs, fantasy figures that they will have heard at the shockingly inadequate and inaccurate consultations. Everyone in the area wants jobs, wants opportunities for the young, wants regeneration. RSP has nothing to offer us. We’re glad that everyone has had an opportunity to express their views and to register as interested parties. We know that hard work, research and effort that so many NNF members have put into this. At NNF we hope that the Examing Authority, now appointed (see below), will quickly get on with interrogating and dismissing this ludicrous application that should never have been able to proceed this far. Remember how low? How noisy? It’s easy in the blissfully quiet four years we’ve had since the closure of the airport at Manston to forget how noisy the planes were and just how low over our heads they were. These clips will remind you. Manston never succeeded as a commercial airport. It could never attract the operators and so we were never subjected to more than two or three flights a day. On average, Manston had approximately 500 cargo flights a year when it was open. RSP’s plans are for 10,000-17,000 a year. This isn’t ‘saving our airport’. This is about trying to establish a 24/7 cargo hub with planes overhead day and night. Make sure you register as an ‘interested party’ with the national planning inspectorate before 8th October 2018. Green Party MEP Keith Taylor has submitted an application to the national planning inspectorate (PINS) to be registered as an ‘interested party’ in the DCO planning process. Speaking in the strongest terms, Mr Taylor has outlined in great detail the ways in which the proposal by RSP would be seriously damaging to individuals, to the local area and to the environment generally. Naturally, as a Green MEP, one would expect the full force of evidence with regard to climate change, biodiversity and the environment to figure largely in Mr Taylor’s submission. Notable too though, is his complete dismissal of RSP’s business case and his concern for residents. Another packed meeting on Friday night, despite being organised very last minute. St Lawrence Hall saw 90 chairs put out very quickly filled and then with people standing and sitting round the edges until over 120 people were present. A great turn out from Nethercourt where, we are constantly assured by airport supporters, 100% of residents are apparently in support of RSP’s plans. It appears not. Residents heard about the DCO process and what to do if they wanted to be registered as ‘interested parties’ for the next stage – the examination stage. People were generally already well-informed about RSP’s plans and were united in being against them. What was most shocking in the evening was when the question was posed – ‘how many of you received any direct notification about any of RSP’s consultation events’ – and only about 3 hands went up. It really does seem as though those living closest to the runway were deliberately kept in the dark. 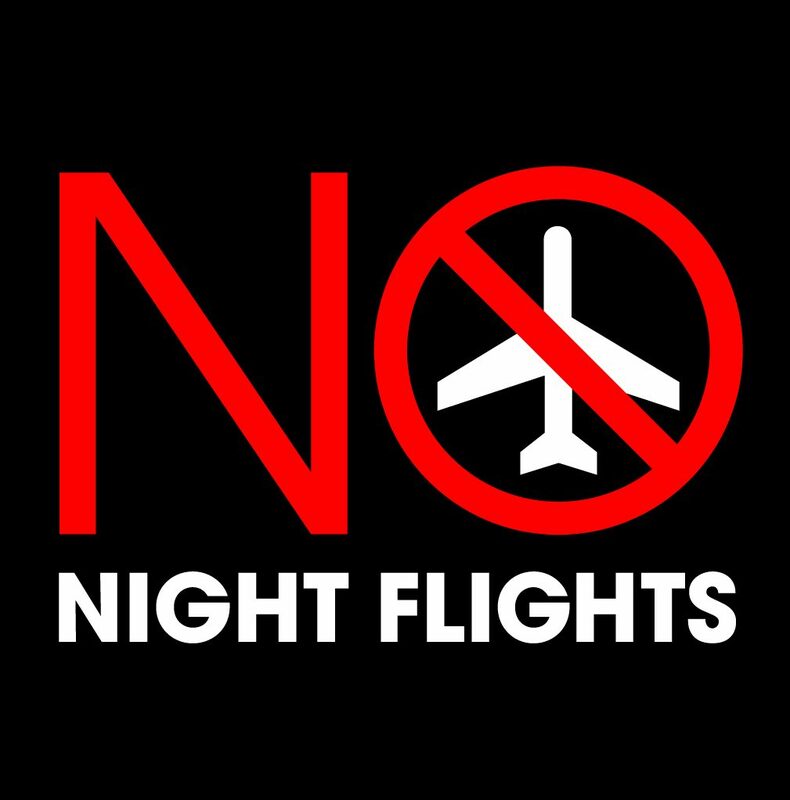 Residents heard from No Night Flights but also from their local councillors, Cllrs Lin and Jeremy Fairbrass who were clear in why they had supported a small airport at Manston originally but why they were completely against the RSP proposals. Cllr Lin Fairbrass read out the statement from UKIP that has been submitted to PINS.